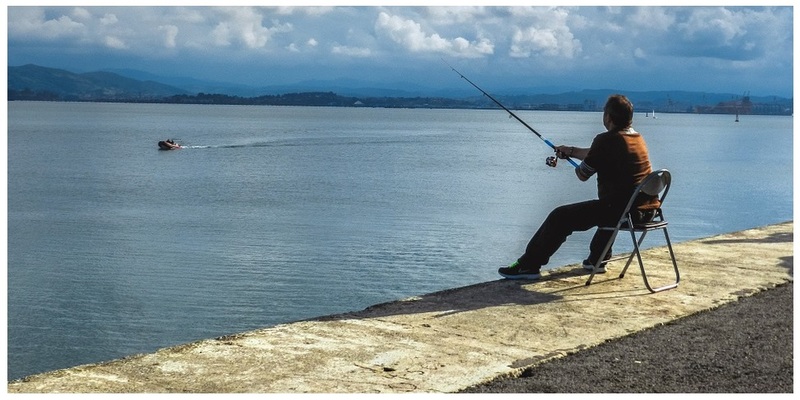 If you happen to be one of those people who spend lots of time fishing, then it is very important that you have a reliable, durable, waterproof and – most importantly – comfortable fishing chairs. Features to look out for before purchasing a fishing chair. It is safe to say that there is nothing worse than having to sit in an uncomfortable chair while fishing. This is why you should check out the best fishing chairs, their pros, and cons and make an informed decision before purchasing one. Quicklinks: What kind of fishing chair are you looking for? Let us now take a look at the top 8 best fishing chairs of 2018. This is one of the best fishing chairs currently available on the market. The chair comes with four different back positions and two totally adjustable front legs. All these are designed to ensure that the user is super comfortable while fishing. The chair differs from the others as it has back padding, sleek exterior look, and slope adjustable extending legs. It is designed to provide you with maximum long-term conform while fishing or while relaxing outdoors. Furthermore it is medium in weight hence the reason why it can be carried around very easily. Its qualities are vast as it can also remain sturdy regardless of where you take it to. Even though they come at a reasonable price, the comfort isn’t compromised. 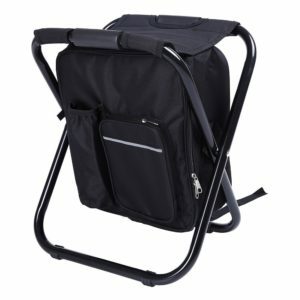 The earth product fishing chair is fully padded and has a fishing rod holder. The design is special as they support those with healthy back & body posture. The pad provided can give you added neck and back support. They are best known for their rugged durability with light, versatile design. 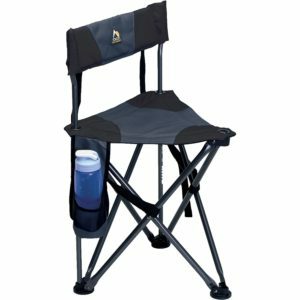 This fishing chair comes fully equipped with a fishing pole holder and two drink holders. The package includes a shoulder strap for portability and to make your transportation easy. The seats have padding with foam for extra comfort. There are two side cup holders. Easy to store due to the zippered storage pouch. It may be hard to open. Doesn’t have an additional back support. This is a very special fishing chair as it is made with very durable metal frames. They are light in weight, thus very easy to carry around. The comfortable cushion increases the back support for the chair. Its metal frames have an anti-rust coating, which is good for fresh and saltwater fishing. Even for beginners, it is very easy to set up. This fishing chair can hold up to 3 fishing rods at 2 different tilt angles, thus the reason why experts love it. It has been made easy to carry as it can be folded. In case you are going to be fishing all day, then you will need an umbrella to shield you from the sun. This fishing chair has an umbrella holder that you can strap your umbrella too. It can carry a maximum load of 200 lbs. Note though, fishing rods and umbrella are not included with the fishing chair. It is very durable as it is built with metal frames that have an anti-rust coating. The cushions are designed to increase the comfortability. Very easy to setup even for beginners. It comes with an umbrella strap. Holds up to 3 fishing rods at 2 different tilt angles. It is light in weight, making it easy to carry around. It is small in size, thus it isn’t ideal for people of height. For some, the umbrella doesn’t fit. Even though The ALP OutdoorZ is actually a hunting chair it can also be used for fishing. 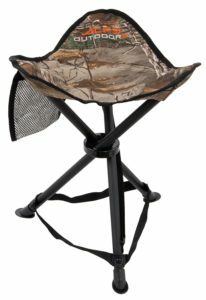 This little stool is designed to make you feel comfortable at all times whether you are hunting, hiking, fishing or resting. It is very durable, with its powder-coated steel frame providing the chair with extra strength and stability. Therefore the stool has an extremely strong and stable structure capable of holding up to 250 pounds. 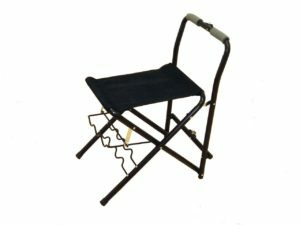 In addition to the coated steel frame, the ALP fishing chair has a unique center support and webbing system which enhances the stool’s strength and durability. In the first place this chair is light in weight and compact, making it very easy to carry around in case you go hiking. The ALP fishing chair also has an extra center support to ease transportation. That isn’t the only thing that eases transportation, it comes with a stuff sack that helps with that too in addition to its ease of storage. It is designed to support a maximum load of 250 lbs. 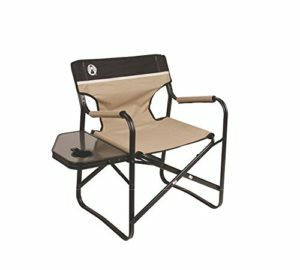 Additionally it is compact yet sturdy, thus the design of the Tril-Leg Stool by ALPS OutdoorZ makes it the perfect seating companion while fishing or resting. It has cool features such as bottom webbing for added strength, carry bag included on the package and several others. The Tri-Leg folds up and fits compactly into a carry bag. Attached to the Tril-leg is a carry strap to ease transport. Extra center support, making more comfortable. Webbing carry strap included in the package for extra stability. Bottom webbing for added strength. Powder-coated steel frame, thus durability is never an issue. Carry bag included to ease transport. The Tril-leg can be folded easily. May get uncomfortable after sitting on it for a while. Not recommended for people that weigh over 250 pounds. One of the strongest suits for the ALP fishing chair is that it is very strong. It has several support and strength features such as the bottom webbing, extra center support and the web carrying strap. Durability cannot be questioned as the powdered coated steel frame it is made of is very strong and durable. This is a perfect fishing and resting chair for those with back problems. The Quik-E-Seat stool features a padded backrest and seat that gives the user maximum comfort and back support. It has a patented Auto-Fold Technology shoulder strap that makes it easier for you to setup, close and carries around without much effort. It is very durable as it is made with a sturdy powder-coated steel and 600 denier polyester. 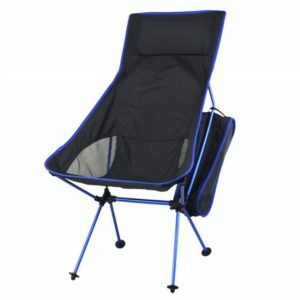 Its durability means it is also perfect for camping, picnicking, sports events and fishing. It has a beverage holder and supports load up to 250 lbs. It is made using the highest quality materials, thus it is very durable. The chair comes with a convenient shoulder carry strap to ease transport. It becomes uncomfortable after sitting for a while. 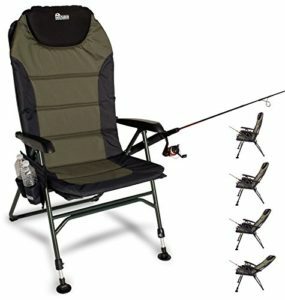 The Backpack fishing chair differs from the rest as its design is unique. It is designed like a backpack, built with a high-quality tubular steel frame that makes it tough and very durable. It is a multipurpose 3 in 1 backpack, insulated cooler and chair all in one versatile unit. The chair is very sturdy and constructed of steel while double layer Oxford fabric is used to increase comfort. It is very easy to setup and can support weight up to 300 lbs. (A lot more than what others can handle) This feature makes it perfect for events like sports, tailgating, hiking, picnics, camping, fishing and more. Exquisite design like a backpack that makes it easy to carry. Very durable as it is made with tubular steel frame while the cushion is made with double layer Oxford fabric. It is a multipurpose gadget, serving several functions. The straws aren’t that strong. It is small in size, thus cannot support tall individuals. Best Use: Outdoor fishing, hiking, camping, picnic. 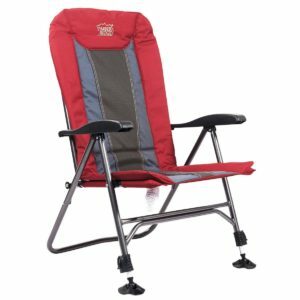 Similar to a beach chair, this Coleman portable fishing chair is all about comfort. It is perfect for you on events such as a campsite, barbeque, picnic, or fishing. The comfortability extends to other areas as it allows you to have items such as food, beverages, and others within close reach. Resistance isn’t an issue as it is constructed using heavy-duty steel and weather-resistant fabric, and can support the load of up to 225 pounds. It is easy to carry due to its collapsible design and convenient carrying handles. It has a side table with integrated cup holder provides easy access to food and personal items. May be hard to fold at times. It isn’t the most durable. The timber ridge fishing chair is popular for providing comfort to users in multiple positions. It is very comfortable as it is fully padded with high side cushion design. The back is big enough to accommodate users of tall height. There are 3 positions that allow for this to recline. It is rated high in terms of its adjustable duck pad legs as it helps provide stability. Hence making it easy to keep on the uneven and rugged ground. The front legs are adjustable so you can adjust a more suitable height for you. It is very durable as it is made with steel tubes and can support a weight up to 300 lbs. All in all it is very versatile as it can be used for activities such as fishing, camping, picnic, sporting events and others. It is light in weight and can be easily carried. Comes with a 1-year warranty on any defective workmanship and material. The front legs are adjustable, thus allowing you to feel more comfortable. It is very durable as it made with steel. The back is big, thus it is good enough for tall people. It is fully padded with high side cushion design. Heavy Duty: It can support a weight of up to 300 lbs. much more than others can. May be uncomfortable to sit on after a while. It is very stiff, making hard to fold and carry around. Heavy to carry around, contrary to what they advertised. Specific Features: collapsible, padded arms, light weight. The onepack portable chair is very excellent in one area: it is very easy to set up. It will only take you a few seconds to get everything ready and begin fishing. It is extremely light in weight and thus very portable. Even though it is light in weight, it carries more weight than any of the others, 330 lbs. It can easily be folded and taken anywhere you wish. It is extremely sturdy. They are manufactured using High-Quality Oxford cloth, stronger elasticity than the other’s usual camping chair fabric. The waterproof coating on the chair back to prevent dirt, easy to clean. It is very versatile as it can be used in several activities. Removable carry strap, making it very easy to carry. 2″ of extra back height to add to its comfortability. Lightweight and durable, thus very easy to transport. 7075 Aerial aluminum alloy – one of the highest strength aluminum alloys, which is why it is very durable and sturdy. Has durability issues, despite the claims by the manufacturer otherwise. Canvas sometimes doesn’t fit the frame. Product Item weight Dimensions Material type Fish rod holder. Making a decision on the fishing chair to buy can be a very tough one. There are so many of them out there that it is very easy to get lost in the details and glamor. However, there are some things that you will have to consider before making a decision. Let us take a look at the things to keep in mind before making a purchase. Whether you prefer fishing from the safety of the shore, or from the water using a kayak or belly boat, comfortability will always be paramount. This is the primary and most important feature of a fishing chair. You are buying one because you want to feel comfortable while fishing or doing any other outdoor activity. In order to determine the comfortability, you will have to take a look at the material that the cushion is made with. Excellent fabric such as the oxford cloth is usually the best. You should also take a look at other features such as the length of the back, if it is small, then most people wouldn’t feel comfortable seating on it after a while. Those fishing chairs that will allow you to change positions also increase your comfortability. Another feature you will have to consider is the storage. Where is the storage unit on the chair? Does the storage makes the chair heavier or is it inbuilt to just tuck into it. As a fisherman, it is very important that you know where your tackle is and has access to them as per your request. Having a storage that doesn’t add much weight to the chair is excellent as it means that you can have the feature while not worrying about the weight. The quality of a fishing chair is mostly the materials that are used in constructing it. For the cushion and back, it is important that excellent fabric is used. Other parts such as the legs and arm pads need to be very strong. That is why those made from materials such as Aluminum and steel are preferred. You will also have to consider other features such as fire or water resistance. Having a frame resistant to rust helps a lot too. This is because you will probably be around water very often and rust might just creep in. It has to be rust resistant if it’s going to get wet. This is a very important feature in fishing chairs. The ability to be folded easily and be able to twist into several shapes is important. It makes the chair to have versatile functions. It is also good if your fishing chair can stand on any ground. Even though finding the perfect fishing chair is what you are after, if it happens to be expensive, then you might have to reconsider. It is very possible to find a cheap fishing chair with decent endurance as long as you do proper research. Researching allows you to find out which chairs are worth your cash. Read reviews such as the one above before making a decision. After all, this is a long-term investment! This is down to personal choice and what the chair is made of. Even though everyone prefers lightweight chairs, you have to makes sure that the lightweight chair is made of quality materials. If it is made from inferior materials then it is probably not worth your money. Researching and finding a light and compact chair that doesn’t sacrifice durability is important. The customer reviews for fishing chairs on this list have been good. The features that customers acknowledge the most are the durability, comfortability and the weight. These features are very important as they are the primary reasons why people buy fishing chairs. There have been several complaints though about the quality of materials used, with most customers frowning at the inferior materials. There are several benefits attached to using fishing chairs. Let us have a look at some benefits. One of the benefits of fishing chairs is its versatility. We can be able to use them on our fishing trips as they have the fishing bed and reclined flat to accommodate sleeping. This dual purpose makes the need for a bed highly unnecessary. Versatility also implies that they can be used for other outdoor activities such as camping, hiking, sports events and several others. You do not have to spend much finding chairs or beds for camping and other outdoor events if you have fishing chairs. This is something that will be hard to do if you don’t have a fishing chair. The comfortability and the sturdiness of the chair make it easy for you to fish for a long time. This is particularly useful if you fish for certain types of fishes. Being comfortable will allow you to remain alert and react quickly when needed. Fishing chairs are very important not only for fishing. You can also use them for other activities. It is very important that you know the features that they contain before making a decision. Also, taking a look at some customer reviews will go a long way in ensuring you know what you are buying. Weigh the pros and cons and decide which one suits you better. While making your decision, take a look at the price. Determine your budget and stick with it, you can find modest fishing chairs out there without having to spend so much. All you have to do is a little research.